This story was updated at 1:50 p.m. EDT. The chief of staff of the Federal Energy Regulatory Commission, who has raised eyebrows for his politically charged statements over the past few months, met and emailed in June with British political activist Raheem Kassam, a former top adviser to right-wing politician Nigel Farage and a former top editor at Breitbart London, according to documents obtained under the Freedom of Information Act. Anthony Pugliese also expressed admiration for Matteo Salvini, a right-wing politician in Italy who is an ally of former Breitbart head and Trump adviser Steve Bannon. And he tried to set up meetings both with Farage and with the head of a conservative London think tank during a trip to the U.K. for an energy infrastructure conference. The new revelations, contained in emails from Pugliese obtained by E&E News under FOIA, are the latest in a series of unusual actions by the chief of staff, who was briefly a White House transportation adviser before he joined FERC last year. In two public appearances earlier this year, one of them a July interview with a Breitbart radio program, Pugliese bashed Democrats in New York and suggested that FERC is working with the Trump administration on identifying power plants as the targets for emergency support (Energywire, Aug. 9). FERC is an independent and bipartisan agency. Its staff members, and to some degree even commissioners, generally stay away from political frays. According to the FOIA emails and a statement from Pugliese, he met Kassam for the first time on June 23 at a friend's birthday party. That night, he emailed the former Breitbart editor and Farage adviser using his FERC email address to say that he would be in London that week and Italy in July. Pugliese told E&E News the trip to London was for meetings with the Electric Infrastructure Security Council, which were attended by representatives from several federal agencies and U.S. states. "If you think there are a few people that would be worth meeting, let me know," he wrote to Kassam. Kassam wrote back the next day, suggesting he link up with Ben Harris-Quinney, chairman of the Bow Group, which he called "the only conservative think tank in the UK." The three apparently tried but failed to meet up during the coming days, after a miscommunication about timing. Pugliese also asked Kassam about setting up a meeting with Farage himself. "Nah he's slammed at the moment with the most recent Brexit headlines. Sorry. But when he is in DC (next month) I will give you a call!" Kassam wrote. Pugliese told E&E News he never met with Farage, a founding member of the U.K. Independence Party, a right-wing populist party in the U.K. that was a driving force behind the country's decision to leave the European Union in what's become known as Brexit. Nearly a month later, while he was apparently in Italy, Pugliese again wrote to Kassam to praise Salvini, Italy's interior minister and the head of the anti-immigrant party the League. Salvini is a controversial figure who has been compared to Trump and is part of "The Movement," a right-wing populist group created by Bannon. "Salvini seems like a boss," Pugliese wrote. The Italian politician's defining political stance is his opposition to illegal immigration and criticism of Europe's asylum rules; he is under investigation by prosecutors in Sicily for refusing to let rescued migrants disembark from a ship in Italy last month, according to the BBC. Kassam himself is the author of a book called "No Go Zones: How Sharia Law Is Coming to a Neighborhood Near You," and The Atlantic called him a "staunch ally" of Bannon. Pugliese said in a statement that Salvini came up in conversation with Kassam because the British activist had done work for the Italian politician. "I in no way endorse his policies or know anything about him besides what I have heard and read," Pugliese told E&E News. Kassam said in an email to E&E News that he did not recall meeting Pugliese. "Our interactions over email are carbon copies of interactions I have with most people at parties in Washington, D.C. Nothing more than basic civility. We haven't been in touch since," he said. The emails also show that Pugliese met in person with Amanda House, a Breitbart radio reporter whom he would later speak to for the unusual July interview. An email from Pugliese to House suggests that, originally, FERC Chairman Kevin McIntyre was pegged to do that interview. "I talked to Chairman McIntyre and he would welcome the opportunity to chat with you or one of your colleagues to talk energy if you have any interest," Pugliese wrote. 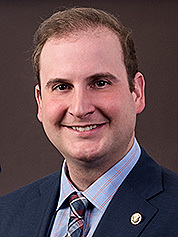 Pugliese said in a statement through a FERC spokesperson: "I did not tell Ms. House that the Chairman would be willing to be on the show, only that I would forward her request to the Chairman." Other emails obtained under FOIA also show that Pugliese alerted members of the public affairs staff at FERC that he would be going on the "Breitbart News Sunday" radio show. Pugliese sent a message to several press staff and advisers in McIntyre's office telling them he was going to do the Breitbart talk show, and attaching a document with talking points. "Good luck! What time? Will it be live? Let me know!" wrote back Mary O'Driscoll, FERC's director of media relations. Several lines from both in the exchange are redacted. Breitbart is widely considered to be a right-wing publication, with connections to the "alt-right" and a history of publishing inaccuracies and conspiracy theories. It's also been called racist and xenophobic. Senate Democrats have raised concerns about Pugliese's politically charged statements, writing twice to McIntyre in recent months (E&E News PM, Sept. 6). And former FERC Chairman Jon Wellinghoff told E&E News in August that he is concerned about the administration "embedding" staff like Pugliese at FERC — he said the former White House adviser was picked by the Trump administration rather than being selected by McIntyre (Greenwire, Aug. 24). 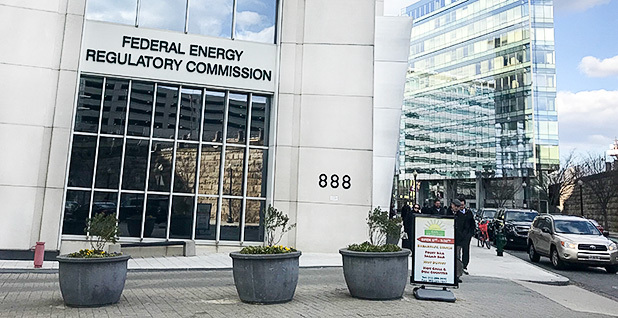 McIntyre has stuck up for his staff chief, calling him "highly qualified" and saying that his leadership has helped improve FERC's interagency coordination (Greenwire, Sept. 11).